This review is for Hairglow Biovitamin. This supplement contains vitamins, minerals and herbs that help our bodies run efficiently. This product fills in the nutrients that are missing from an average person’s diet. Read on to get more information on this product. • Vitamin C- Cells can be damaged by free radicals and vitamin C helps reduce that damage. It helps to keep hair shiny and healthy. You can also get it from fruits and berries as well as dark green vegetable, tomatoes, and green peppers. • Vitamin A- This is another antioxidant that fights free radicals. Meat, fish, liver, cheese, milk, eggs, broccoli, spinach and peaches also contain Vitamin A. • Vitamin E- This vitamin helps the blood circulate which is vital for a healthy scalp. If you have enough of this vitamin, it will help reduce split ends. High amounts of Vitamin E make your hair shiny and soft. Foods such as nuts, seeds, soybeans, green vegetables, and dried beans also provide vitamin E.
It is recommended to take 2 capsules daily with a full glass of water. Results are usually noticed within the first 4-6 weeks of usage. All of the ingredients in the supplement are natural and drug free. There are no known side effects. It is always suggested to consult your physician before taking any supplements in combination with your current medication. You have the right to return the product within 14 days of purchase and receive a full refund or exchange. You are responsible for any shipping costs involved with the return. After searching the site, We could not locate any customer reviews. Hairglow Biovitamin is a supplement packed solid with plenty of nutrients and vitamins that will help your body maintain balance and give it the energy to protect itself from illness as well as help strengthen your hair. Using this supplement in addition to a balanced, nutritious diet and plenty of water are the ingredients needed to create a healthy, vivacious body with healthy, beautiful hair. However, it seems like there isn’t anything unique in this product to justify using it in addition to your daily multi-vitamin. 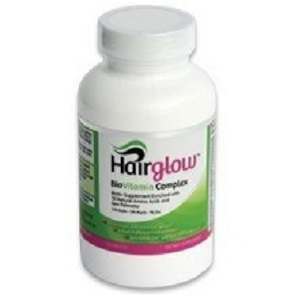 John Brownstone	reviewed Hairglow Biovitamin	on November 24th	 and gave it a rating of 2.5.